Plot Summary: It's in the not too distant future. One day Nuku-Nuku dropped in and began to live with the Natsume family. 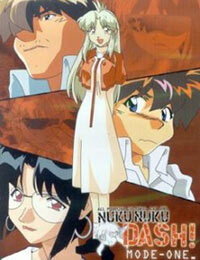 Having lost her memory, Nuku-Nuku assumed the identity of a beautiful girl named Atsuko Higuchi. She was so beautiful and gentle, and besides, she was such a great cook that Ryunosuke, 14, was all smiles. However, after her arrival in town, a series of mysterious incidents started to happen in Maneki City - Experimental machines running haywire, roaring fighter aircraft flying low, mass destruction in the city. In every case, a mysterious girl was spotted at the scene of the incident.